In my previous post, I referred to Magical Thinking in regards to self-image, and choosing to (re)start an enjoyable form of exercise. Now I’d like to share this concept to transform your approach to training, and being, especially in meditation and martial arts practice. Most people interpret Magical Thinking as being unrealistic, immature, flaky or just plain weird. What I’m suggesting, instead, is to open your perception to realize the wonderful and miraculous in everything around us and inside of us, that most of us take for granted. Life, by its own existence is miraculous. If we consider the prevailing theory for the creation of the Cosmos, the myriads of particles, molecules, atoms, space and energy that manifest in our Universe, to the evolution of life and ourselves, is incomprehensibly vast and magnificent. We are stardust manifest into conscious, living beings. Consider the incredible diversity of life on this planet Earth, to the boggling complexity of our bodily systems, all the processes that happen within us to create the living, breathing symbiotic beings that we are, to live in synchronicity with our world. If we bring this deeper awareness of ourselves in connection to our world, we arrive to a profound appreciation for not only our lives, but of the living Cosmos as well, and the ways in which we are all connected. And if we bring that awareness, appreciation and inspiration to our Qigong and Martial Arts practice, it transforms us from the inside out. Consider the amazing energy and space harnessed in each oxygen molecule, the profound mechanisms in the process of our cardiovascular system as it cycles the oxygen and carbon dioxide in and out of our entire body, a process we most often don’t think about or feel, because it is a basic autonomous process that keeps us alive. In Qigong, or “Breath/Energy Work”, we are consciously gathering the essence and energy of the air we breathe to refine and heal ourselves, from an internal, vibrational and cellular level, from the inside out; microcosm to macrocosm. We are consciously harnessing and refining this Essential Energy to increase our awareness and empower us, to tap into the hidden potential we all have. The main point is to have a paradigm shift in your perception of life, to being completely present to the miraculous, magical potential we all hold within us. In each and every moment. To go from rushing around in life, worrying and spinning to exhaustion from all the distractions, stuck in our heads, lost in our fears and self-doubts, longing to escape from the monotony of the daily grind — to becoming fully aware of your being, here and now, in the amazing universe we’re all a part of. Embrace the magical, wonderful power of it all. Spark your imagination to tap into your vast potential. 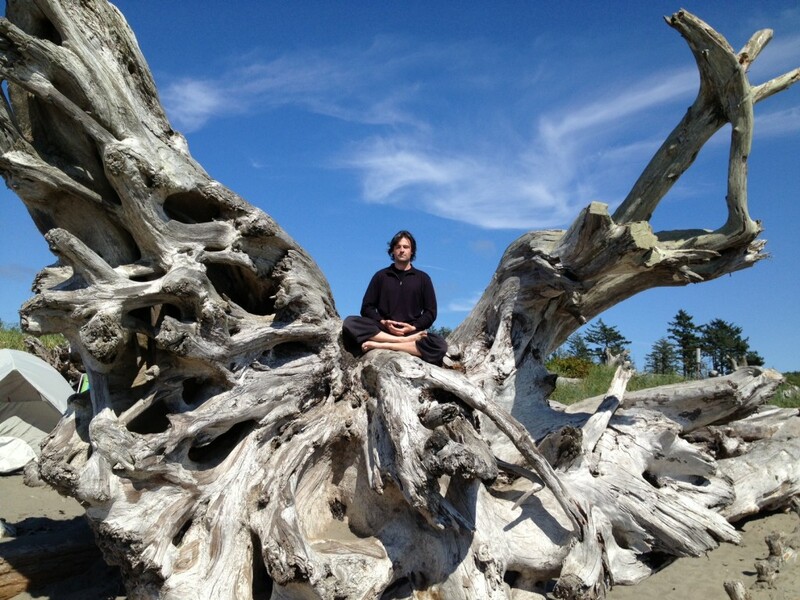 It all starts with our own daily meditation and martial arts practice. Instead of being stuck in your head, rushing through reps of exercises and forms, watching the clock as you cram training time by forcing yourself to change from the shame of some aspect you despise into a projection of perfection — focus on being here, now, centered, feeling who you are, where you are at, what you are doing in the moment. Let go of who you think you are, and feel what you truly are. This is the first step in reclaiming your power and feeling the magic within you and all around you. In meditation and mindful martial arts practice, this is the way to let go of our fears, break through barriers of self-limitation, to tap into the limitless potential of what we can become. 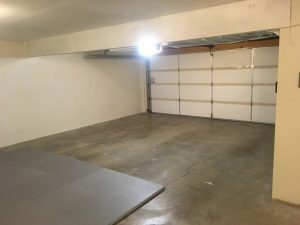 Since moving to Shoreline in November, we’ve been transforming our 2-car garage into our new training hall. 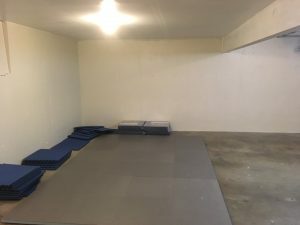 We have finished painting, have most of the mats already, and plan to get the rest of the mats and training equipment soon. 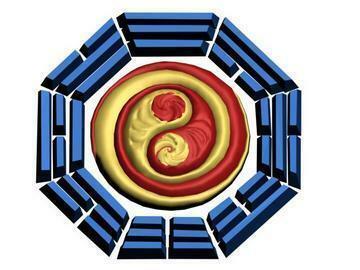 While still a work in progress, we are holding Bagua Zhang classes in the new space on Sundays, 11am to 12:30pm. 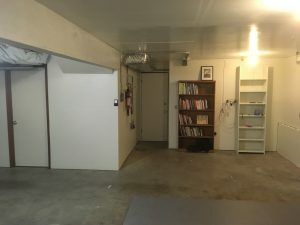 I’m teaching private lessons in the same space. It would be great to have you join in! Happy New Year ~ 2017! We’ve all faced many challenges over the last year. It’s been a chaotic and unpredictable ride for me personally, with tragic lows and exhilarating joys, shocking surprises and wonderful new changes. You can probably relate, as I have witnessed similar experiences for many of my family, friends and students, and have seen the same extremes on national and global levels as well. May we embrace our struggles as lessons for our growth and celebrate our triumphs. May we leave behind disappointments as ashes from the past and embrace the blessings as we rise like the Phoenix, and soar forward into this New Year with gratitude and grace! I will be holding a bonus Bagua class tomorrow to ring in the New Year together with a renewing practice at Wilcox Park! Enroll for Mace Martial Arts monthly membership here. Please RSVP if you are able to join us! 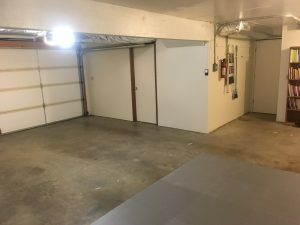 I am currently teaching Bagua Zhang classes on Sundays from 11am-12:30pm at Wilcox Park in Lynnwood, and offering private lessons as well. 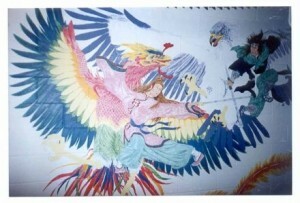 to teach, that would include regular Bagua Zhang and Taiji Quan (Tai Chi) classes. 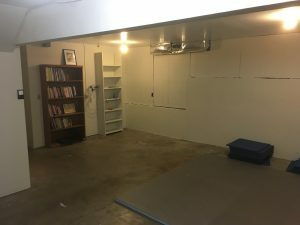 If you know of a good place, I’m open to suggestions! Referral Bonus: $20 Discount off 1 Month’s Membership Tuition fees for referring a new student to enroll in classes, and a $20 Discount to the new Student that you refer for their first month!